The Chem-Dry Action technicians are very experienced and skilled in providing our customers with 11 unique services. 1. Carpet Cleaning and Protection – We will start by moving your furniture out of the way. Your furniture will be replaced once we have finished, so there is no need for you to worry. We will then use a specialised semi-industrial vacuum cleaner. 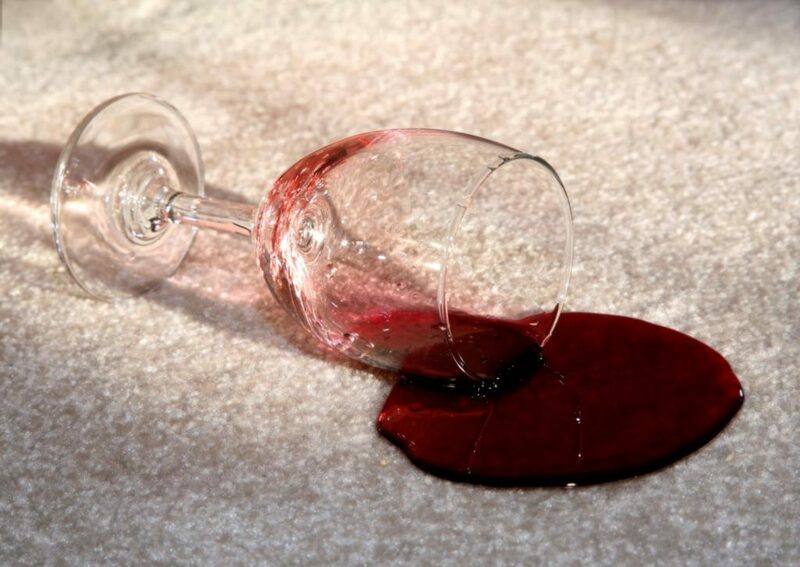 After this, stains will be pre-treated before starting with our carpet cleaning service over the whole carpet. Our chemicals have all been extensively tested and are perfectly safe around pets and infants. Unlike other carpet cleaners, Chem-Dry Action will give you the best possible cleaning results where you are able to walk on the carpets immediately. For many commercial organisations, the ChemDry carpet cleaning is the only company they will consider using due to our great service, results and fast drying times. 2. Lounge or Upholstery Cleaning and Protection – With our upholstery cleaning service, we clean a variety of different fabrics, including nylon, wool, cotton, mock suede, silk, viscose, and linen. The method of cleaning will depend on the type of fabric you have. Many loyal repeat customers attest to our quality sofa cleaning workmanship. We also will regularly get asked to clean office chairs for organisations who need everything done and dry in time for the next work day. 3. Leather Furniture Cleaning and Conditioning – Chem-Dry Action technicians also clean a wide range of leather furniture, including sofas and dining chairs. 4. Rug Cleaning and Protection – As rugs can be quite expensive, it’s important to make sure they are cleaned with the best quality products and by professional rug cleaners, like Chem-Dry Action. 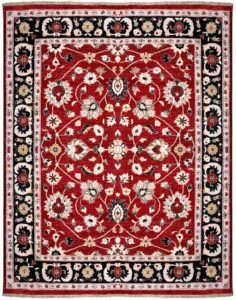 Where appropriate, the following methods are used on rugs: air blasting, water extraction with bonnet cleaning, solvent and hand cleaning, full immersion followed by speed drying, and spot removal. Rug Immersion and Sanitisation forms part of this service. There are instances where regular fibre cleaning is just not enough. Very soiled or urine affected rugs may require immersion treatment. 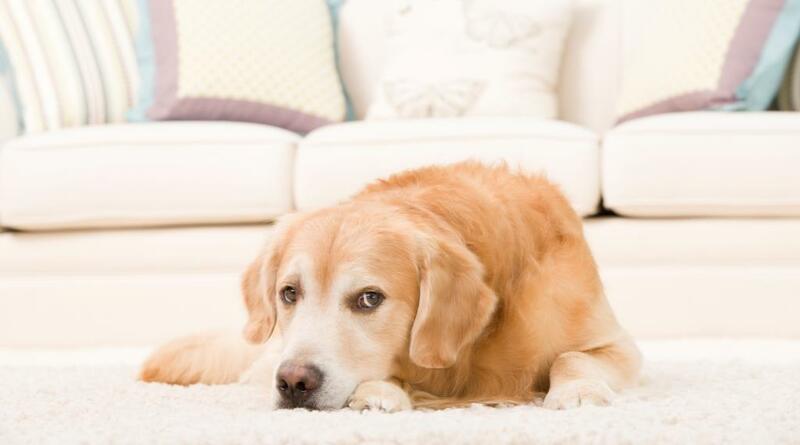 Pet Odour Removal is another key service we provide for rugs, carpets, upholstery and even mattresses. Pet owners are some of our best carpet and sofa cleaning customers! Our professional cleaning solutions will take care of business every time. Although mattress cleaning is often ignored, it is vital to ensuring a healthy and hygienic home. Many people suffer from dust mite allergies and realise the importance of keeping a clean mattress. We offer dust mite protection for mattresses of all sizes. Our specialised mattress cleaning and sanitisation treatment is provided throughout Sydney at a competitive rate. 6. Tile and Grout Cleaning and Sealing – Chem-Dry Action specialises in a range of tile and stone cleaning. We will also seal the tiles or stones to ensure your floor has a barrier against dirt and stains. Our technicians are able to deal with complicated surfaces like marble, granite and sandstone. This where you need experienced quality workmanship. Many years of restoration experience places us in an ideal position to take care of this kind of work. 7. Water Damage Restoration – We offer a comprehensive 24 hour emergency service to ensure you receive immediate assistance in the case of water damage restoration. This involves moving household contents, extracting water, lifting carpets where possible, installing drying equipment for speed drying of the wet carpets, disinfecting affected contents, replacing underlay, and then finally, refitting carpets and cleaning and sanitising carpets and contents. 8. Mould Removal and Remediation – Related to our Water Damage is Mould Removal. 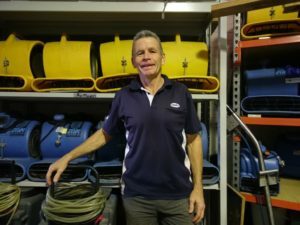 Many homes in the Sydney area experience problems with mould. Our team of water damage technicians are able to clean and decontaminate mould affected rooms to ensure your home returns to health. 9. Smoke Damage Restoration – We also offers 24 hour service in the situation of smoke or fire damage restoration. 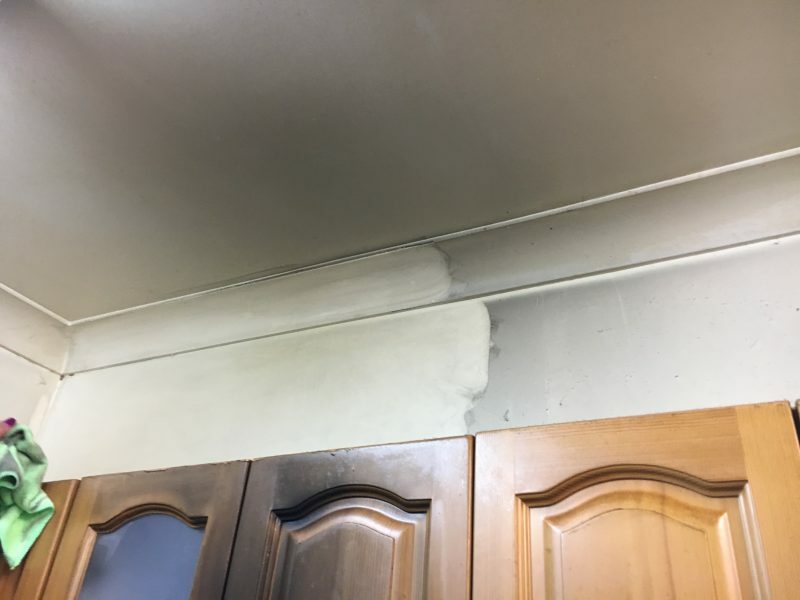 Smoke and fire damage cleaning doesn’t have to be a long and stressful process! Whether its a fire caused by a malfunctioning electronic device or nicotine stained walls caused by someone who smoked indoors for a while, we are able to handle a wide variety of jobs. We offer this service so you can focus on other important things when dealing with fire emergencies. 10. Dust Mite Treatment – Dust mites are most often found in carpets and mattresses, and many humans get allergic reactions due to the protein found in their faeces. Don’t suffer in silence! Call us to ensure you can get a better night’s sleep! 11. Air Conditioning Cleaning or Treatment – Breathing clean air in a big city is vital to your health. Our cleaning will help keep your cooling/heating system deliver healthier air. Even better still, your aircon will be more efficient and use less electricity, costing you less money in the long run! Finally, we also offer End of Lease Cleaning. We know it is a bit of a chore trying to find a service provider when you’re about to move out, but we provide quick and effective service to all our customers and will always do our best to accommodate your needs. We are the service provider of choice for many Real Estate Agents throughout Sydney. Many real estate organisations support our company and we try and repay their loyal support with the best service possible! Very happy with results. Paul came on time and was very professional. Can recommend. Paul was great did a great job and is a real gentleman. Saved my carpets and 3 lounges . Very happy to recommend him. I will happily deal with him again . 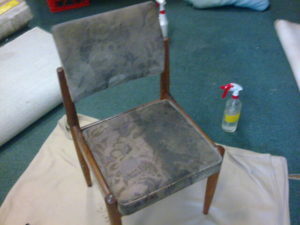 Paul cleaned our carpets and some chairs today, which he has done a number of times before. He is so reliable, professional and efficient, it is a pleasure to have him in our home. I have no hesitation in recommending him! Dog urine on the carpets whilst I was away, and the house sitter had used water, bicarb and other things. Stain was bad and carpet looked awful. Paul warned me that he may not be able to fix it completely; however he left my carpet looking so good I was delighted. Had all my carpets cleaned and hall runner too, and it was quite economical. I have purchased some of their carpet spot treatment and have written out instructions in case this should happen again whilst I have house sitters in. Great job, pleasant and helpful man, and delighted with the cost.